The Enforcement Directorate has booked former Haryana Chief Minister Om Prakash Chautala and his two sons, Ajay Chautala and Abhey Chautala, on money laundering charges following a CBI charge sheet against the three in a court in which the agency has accused them of owning assets disproportionate to their legal income. Should Warren Anderson be expedited? 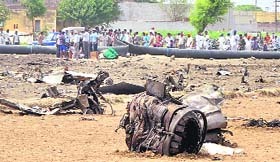 A major tragedy was averted when an alert pilot of the Indian Air Force (IAF) tilted a crashing jet fighter MiG-21 towards fields saving lives and property before ejecting safely here on Tuesday. Faced with stiff opposition from the BJP and the Left, the government today dropped plans to dilute a key provision in the Nuclear Liability Bill as its top officials were grilled by the Parliamentary Committee. Ticking off Karnataka High Court judge Justice DV Shylendra Kumar for overstepping �judicial discipline�, the Supreme Court today stayed his interim orders over some administrative decisions of Chief Justice PD Dinakaran. There�s good news for students. The Government has finalised a draft law to ensure online electronic storage of academic certificates on the lines of share certificates and financial instruments. The move will effectively curb the practice of forging certificates and marksheets. A complaint has been filed in a local court here for registration of a criminal case against former Madhya Pradesh CM Arjun Singh for allegedly releasing the then Union Carbide chief Warren Anderson in a wrong manner after the 1984 Bhopal gas tragedy. 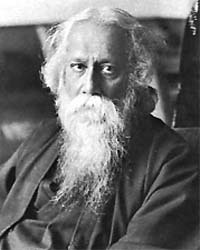 Despite voices of protest in India, a set of 12 paintings by Rabindranath Tagore went under the hammer here today. The works of the Indian Nobel Laureate sold for a whopping �1.6 million, massively exceeding the pre-sale combined estimate of �250,000 at a Sotheby�s auction.